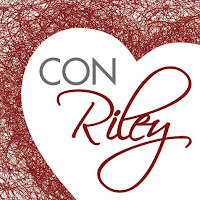 It's Hump Day again and it's Con Riley's turn in the Hot Seat. Where would you choose to be exiled and what three essential items would you take? The definition of exile strikes me as being sent anywhere far from home with no chance to ever return. It wouldn't matter if the place of exile was a tropical paradise, a fantastic forest, or a bustling city full of bright lights -- nothing could ever beat getting to go home one more time. And that's exactly the situation in which Vanya, one of the main characters in my latest release, finds himself. In Be My Best Man, Vanya truly is exiled. A hate crime he barely survived means he can't ever safely return to Russia, and because Vanya left in such a hurry, he has nothing of home to treasure while learning to live in London. So, what have I learned from Vanya about essential exile items? Firstly, I now know that I'd gather as many photos of my friends and family as I could carry. Vanya has none, not a single one, only seeing his mother and sister in his dreams, which is crippling for someone with such a huge heart. It's no wonder he works so hard to forge a brand-new family. Secondly, I'd take a phrase book. 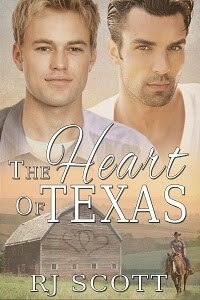 Until Vanya meets Jason, he can barely get by in English. Falling in love gives him a reason to learn fast, but I think I'd absolutely take a phrase book just in case I don't have someone half as patient as Jason to help me learn a second language. And thirdly, I'd take a tent! Shelter, even in a city, can be hard to come by without breaking some rules. Vanya's insecure housing situation isn't unusual for immigrants, but the steps he takes to create a home in the UK come with a huge risk -- if Jason finds out where he's living, Vanya could lose him for good. So, a tent, a phrase book, and as many photos of friends and family as I could carry would be the bare minimum to bring with me, if I was exiled. But if I'm allowed a fourth item, I'd try to bottle some of the hope that Vanya never gives up, because it's that hope which lets him fall in love for the first time and find his best man in Britain. For your chance to win an ebook of Be My Best Man, answer this question: Where would you choose to be exiled and what three essential items would you take? Wow sounds like a great book! Hope you have a huge success with it. Can all my books be one item? There are a lot.. lol if so that is the first, pictures of loved ones, great idea and third would be my husband...he's allowed right? Cause he can keep me company and warm in my choice of places 😉. Now as for the place ....a mountain cabin in Colorado. I would choose a mountain with a solar light, an emergency blanket, and a multi-tool. Soumds like a great book! Being exiled would be so hard. If I had to chose a place to be exiled, I'd chose the north woods of Wisconsin. I would take pictures of family, a tent, and a water purifier.